In 2013, the program received the maximum ten-year accreditation review cycle indicating compliance with all standards and consistency achieving program outcomes. The Joint Review Committee on Education in Diagnostic Medical Sonography (JRC-DMS) is the committee on accreditation that establishes the accreditation standards and guidelines in conjunction with CAAHEP. Information on the standards and guidelines can be located at www.jrcdms.org. It is important to research sonography programs to determine which CAAHEP accredited program will provide you with the best education and allow you to apply for national certification exams. Students should gather information pertaining to experience of the faculty, number of clinical hours in the program, national examination pass rates, and employment rates. The Society of Diagnostic Medical Sonography (SDMS) provides a list of suggested questions to ask a program in your decision making process. View the Key Questions to Ask Programs to see Misericordia University's responses to these questions, plus some additional important questions to ask. It is essential that all individuals pursuing a career in sonography meet at least one of the educational pathways. For Misericordia University, CAAHEP accreditation is the pathway that allows graduates to apply for national certification examinations through the American Registry for Diagnostic Medical Sonographers. Upon successful completion of the program, the student will receive a certificate of completion and will be eligible to apply for national examinations through the American Registry of Diagnostic Medical Sonography (ARDMS) with specialties in abdominal and OB/GYN. For information on eligibility to apply for national certification examinations, visit www.ardms.org. Note:Sonography Patient Care and Medical Terminology can be taken as co-requisites in the first session of the program. In addition, for those wishing to pursue a degree, the University offers a dual profession with a Bachelor of Science in Medical Imaging and a Certificate in Diagnostic Medical Sonography which can be completed in a little less than 5 academic years. 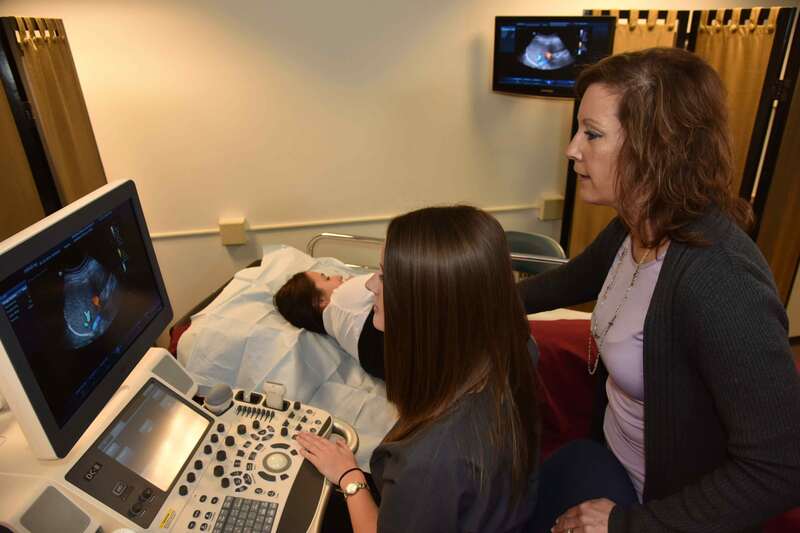 A minimum of two seats are reserved for Medical Imaging students who desire to enter into the Sonography certificate program during their senior year of their Medical Imaging degree. What if I do not have some or all of the prerequisites? Medical Terminology (MI 106) is offered on-line each semester. It is recommended to be completed prior to start of program, but can be taken in first fall of program. DMS 112 Sonography Patient Care (DMS) is offered in a weekend format early in the fall semester. Contact the Sheryl Goss, Chair of the Diagnostic Medical Sonography Department, at (570)674-6790 or sgoss@misericordia.edu for more information on prerequisite courses and schedules to complete them. Essential functions are defined as the requisites that all diagnostic medical sonographers and students must possess and have the capacity to complete with or without reasonable accommodations. The practice of diagnostic medical sonography requires the individual to be proficient in the three learning domains; affective, cognitive, and psychomotor. In addition to these domains, the student sonographer must comply with the Profession’s Scope of Practice and Code of Ethics, along with a behavior that reflects honesty, integrity, and positive reputation. Each and every patient must receive a high level of quality care and an accurate outcome of a diagnostic medical sonogram. Interact effectively and sensitively using appropriate verbal, nonverbal, and written communication with faculty, colleagues, other members of the health care team, and patients/clients, and caregivers. Read, write and interpret written and nonverbal communication at a competency level that allows one to safely function in classroom, laboratory, and clinical settings. Recognize the impact and influence of age, lifestyle, family or peer support, socioeconomic class, culture, beliefs, race, and abilities on faculty, peers, other members of the health care team, and patients/clients, and caregivers. Emotional health for utilization of intellect, the exercise of good judgment, prompt completion of responsibilities and the development of mature, sensitive and effective relationships with others. Ability to retain emotional composure when dealing with patients with acute and chronic illnesses, pathologies and poor prognosis. Accept personal responsibility for all actions, reactions, and inactions. Demonstrate responsibility for self-assessment, professional growth and development. Effectively and consistently manage personal stress and appropriately respond to the stress of others. Speak and write effectively in English to convey information to other individuals and groups. Comprehend, retain, recall, and apply complex information learned in required professional courses. Read, comprehend, integrate, critically analyze, interpret, and apply information from written materials, demonstrations, lectures, laboratory sessions, and research literature, and other pertinent sources to develop and support the rationale for appropriate patient examination indications, clinical history, and sonographic findings. Collect, organize, prioritize and document information to make safe, appropriate and timely decisions regarding patient care for the purposes of examination and communication to the interpreting physician. Efficiently organize and prioritize multiple tasks, integrate and critically analyze information, and formulate applicable decisions. The capacity to prepare for and respond to the challenges of any environment that requires a readiness for immediate and appropriate response. This requires training for emergencies as delineated within specific clinical environments (e.g., CPR, infection control), and a readiness and willingness to respond as needed. The physical ability to assist patients on and off examination tables, transfer patients from transport device to table, push and/or pull transport devices, and sonographic equipment. The approximate lifting capacity is 50 pounds. Physical mobility and dexterity to stand 50% of the day; bend, kneel or squat; arms to extend 120 degrees to axis of the body; wrists to pivot; and fingers to grasp sonographic equipment. Visual ability to differentiate black, white, shades of gray and colors as related to sonographic imaging. Hearing ability to respond to patient and healthcare team needs and for differentiation of audible Doppler signals. Students must have their healthcare provider complete the program’s medical form which requires the provider to attest to the student’s ability to perform the essential functions listed above. It is the student’s responsibility to disclose any documented learning disabilities to their medical physician prior to completion of form. Changes in physical, mental, or emotional status that may prompt a request for reasonable accommodations must be communicated to the Department Chair. If a student cannot demonstrate the skills and abilities listed above, it is the responsibility of the student to contact the Chair of Sonography prior to the start of the sonography program to discuss the procedural steps to request an appropriate accommodation in either the educational or clinical environment. The University uses independent clinical education sites that may or may not be willing or able to offer the same reasonable accommodations that are made available by the University. For more information regarding requesting reasonable accommodations, visit the Office for Students with Disabilities. Reasonable accommodations cannot be made retroactively. This means if the student fails to request accommodations and does not meet the standards defined for successful completion of an assignment, examination, practical examination or clinical education experience, the student will be subject to the policies and procedures defined in the Diagnostic Medical Sonography Student Handbook and Clinical Education Manual or respective course syllabi regarding these matters. The program has affiliation agreements with numerous clinical sites, both hospitals and outpatient imaging centers, for students to gain the skills required to master the art of scanning and creating quality images. Every attempt is made to place students within a 60 minute drive from their geographical area, however there may be times in which a further drive up to 90 minutes may be required. Students must have the financial and time availability to travel up to 90 minutes one way, if necessary for clinical placement. Transportation and all associated costs are the responsibility of the student. Click here to view the DMS Certificate course sequence and course descriptions in the catalog. Our CAAHEP accredited program strives consistently to not only achieve the minimum standards for outcomes set forth by the Joint Review Committee on Education in Diagnostic Medical Sonography (JRCDMS), but we strive to far exceed the minimum. The JRCDMS reviews programs’ outcomes annually and also reviews the information across three years to look for trends. *Class of 2018 will be reported after March 2019. *The amount shown above include costs for the entire program, assuming normal time to completion. N/A* per month in student loans with an interest rate of N/A. For consideration, students must complete an application for admission and two completed reference forms. The certificate program is a part-time undergraduate program. Completed reference forms and official transcripts from high school, all colleges and post-secondary education should be sent to the Admissions office with attention to Maureen Sheridan at Misericordia University 301 Lake. Street, Dallas, PA 18612. Applicants are encouraged to submit their application in the fall of the year before their desire to enter. For example, applicants interested in entering in September 2019 are recommended to submit applications in the fall of 2018. Applicants unable to attend one of the Open Forum information sessions will be required to make an appointment with the Chair to be informed of the program requirements. First round of application decisions occurs in late March for the class entering in August. Applications received after December 15th will be accepted with decisions being provided to applicants in which there is availability for clinical placement. Admission criteria used for decisions include post-secondary GPA(s), grades achieved in the program prerequisite courses, number of credits taken in a semester, reference forms and responses to the applicant interview questions. Minimum GPA for consideration of entrance into the program is 2.75. Program admission is competitive. 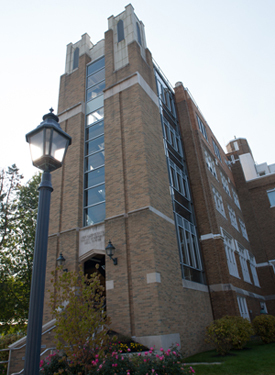 Misericordia University does not discriminate on the basis of race, age, color, disability, religion, gender, nationality, marital status, sexual orientation or ethnic origin in the administration of its educational policies, admission policies, scholarship and loan programs, athletic, or other University administered programs. For additional information on the program or application process, please contact Maureen Sheridan, Assistant Director of Admissions-Part-Time and Undergraduate Programs at (866) 262-6363 or msheridan@misericordia.edu. For specific questions related to eligibility, contact Sheryl Goss, Diagnostic Medical Sonography Department chair, at (570)674-6790 or sgoss@misericordia.edu.